World Snooker Championship Day 10: The Captain Ali Carter made a massive turnaround on Judd Trump, winning 13-12 from 9-12 down to reach quarter-finals. 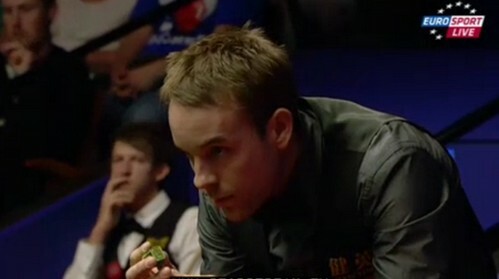 Ali Carter did not enjoy a good season this year due to his Crohn's disease. 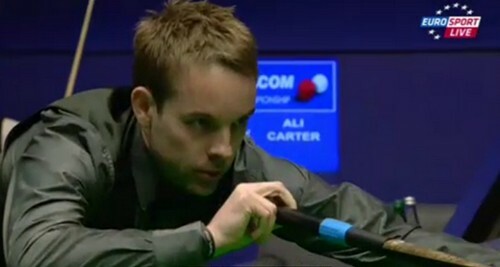 Having only reached one quarter-finals this season, Carter came to the Crucible with a good form. 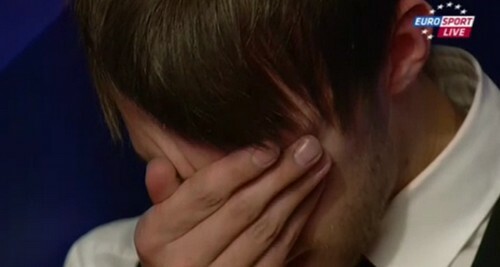 He won his first round match, beating Mark Davis by 10-2 to meet Judd Trump. However, Carter fell 7-9 down behind after second session. I believe not many people could believe The Captain would make a comeback. The first four frames of the final session were shared between Trump and Carter. Trump went for 147 in frame 19 but he broken down on the 13th red. After the mid interval, Trump added another frame on the scoreboard, setting to reach quarter-finals for the second consecutive years, leading Carter by 12-9. Fearless Carter tried maximum in the next frame but he ran out of position on 81. He found himself back into the match, winning the next two frames with a top break of 53 to level 12-12 against Trump, forcing a decider. 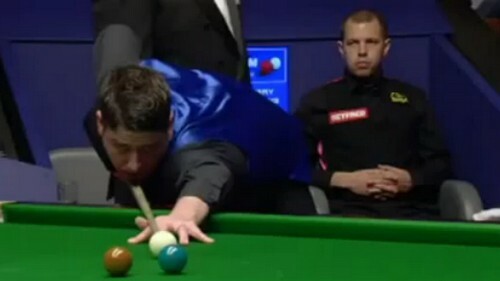 The UK Champion had two good chances to score in the decider but missed the opportunity on easy balls. Carter made 47 to go 48 points ahead, with one red left on the table only. Never-give-up Trump got three out of the four snookers he needed but The Essex man finally potted the last red to secure the thrilling victory. The Captain clinched his fist to celebrate the massive victory. Trump is gracious in defeat, "If I was fully fit then I would expect to play a lot better but I just tried to play the best I could in the conditions. He played better, he was more mentally ready and I struggled," he said. "I knew I was hitting the ball well, at 12-9 I thought just get to 12-10 and he knows I'm there," said Carter. "I played some solid match snooker at 12-11 and that's all it takes. Judd just pots them from everywhere but there's more to this game than just potting them from everywhere believe me, and I've proved that today.'' "Now he (Trump) can feel what it feels like to have a nasty scar in your career. He was in it to win it but so am I." Ronnie O'Sullivan blasted into the final eight with a 13-6 victory over Williams. "I haven't had an easy draw," said O'Sullivan, who is aiming for his fourth world title. "I think whoever wins this tournament will have to beat Neil Robertson and I've got to play him in the quarters so it's definitely not easy. But I'm a competitor, I'll always give it my best and we'll see."